Advertising: Make more money! More than 16,000+ consumers visit IJCSA websites each month. You found us, and so do paying consumers. Gain more exposure for your business and receive a detailed member webpage in our membership directories with photo albums to show off your work. Available to all consumers and searchable by the services your company performs. Including a messaging system so you can receive job requests and estimates after normal business hours. Improve Your Professional Image: By joining IJCSA you are showing the buying public that you are a professional company and care about your industry. Association membership is very common with professionals. Doctors, Attorneys, Dentists, etc. individually belong to several associations. When these other professionals search for services commonly for them to save time they use other association directories. Membership in the association will set you apart from other companies in your area while distinguishing your business as part of the industry. We also have the #1 listing on google for janitorial association. The association is here to make sure members are up to date with safety issues, current trends, receive more work, and to insure that we have an industry. Marketing: Our members area is loaded with thousands of marketing and advertising ideas. Review successful marketing and advertising methods that work! Apply them to your company and increase profits. Referrals: Consumers and businesses contact IJCSA and we are happy to refer potential customers to members. You’ll also find that other members you network with online will be happy to refer potential customers to you as they get to know you through IJCSA activities and events. Business Contacts: Network with other professionals who are similar to you and make new friends. Have questions about business? 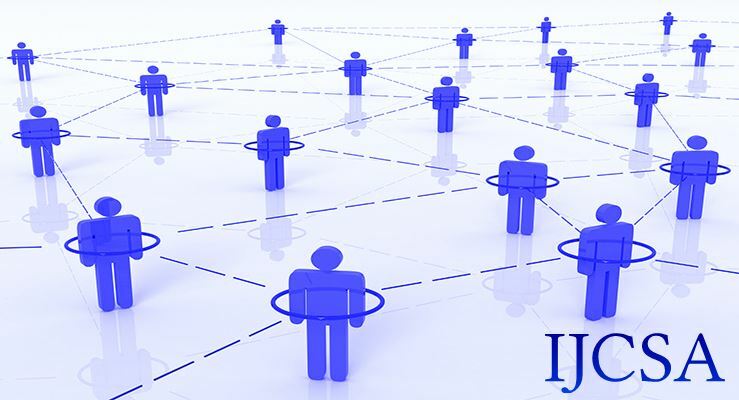 Turn to your IJCSA network of professional business contacts. Someone with more experience or expertise in what you are trying to accomplish can give you a few pointers saving you the extra work, and possibly saving you hundreds or thousands of dollars. Members Area: Our members area is private and for members only. A fourteen year complete guide with hints, tips and advice for modern professional service owners of all experience levels. From marketing and management to leadership, advertising and public relations, learn how to slash costs and maximize productivity using today's latest high-tech innovations. Every business - and business plan - can profit from keeping up with modern advances. Members gain access to research that costs over 50X the membership dues. Legal Business Forms: All the janitorial and cleaning business forms you need to operate your business legally are included with membership at no extra charge. Insert your business name, specifications, and then print. All included. Don`t be fooled by other cleaning form packages found online. Our forms have stood up in court on breech of contract and collection cases favoring judgement for our members. Business Recognition & Exposure: Your membership includes full use of our LOGO. Place the IJCSA logo on your marketing materials, website, handouts, and business cards. Inform consumers of your training and dedication to our industry. Include IJCSA certification certificates inside your proposals and bid packages to give your company the advantage when bidding on cleaning projects. Public Or Private Profile: Perfect for service owners who are in the start up stages of their business. Use all the tools and resources of IJCSA to start your business and get everything set up, then take your company public buy activating your listing in our directories. Open Leads: Make more money! At no extra charge you can use the latest technology directly from the association website to search and evaluate brand new cleaning bid opportunities in your area. Receive daily or weekly emails of new cleaning opportunities by your specifications. Open leads from consumers, government, and private commercial cleaning opportunities. Bid Help: Get up to date information on bidding current jobs. If you are new to this industry bidding calculators do not work. Discussing prices and specifications with other members and not a computer while creating your proposal is the best approach. Your bids will be more accurate making more profit for your company. Moderator Services: We offer moderator services to our members. Trained volunteer mediators for bid help, contract negotiation, bill collection, insurance claims, and bonding issues. Online Support Groups: Our private online networking and Q & A areas allow you to ask questions and get answers. Immediate answers and advice to your business questions by veterans of the industry. More Marketing & Advertising: The association directs immediate web traffic to your website and improves your business. Gain further exposure for your company by writing articles, publishing press releases, and posting advertisements about your company directly on our website. Smart Phone Friendly: All areas of our website can be used and accessed with a smart phone, or computer. Including certification courses. We take pride in how fast the IJCSA website works with a smart phone. Members can post photos, chit-chat, and get advice if needed while on the job site. Background Checks: Run background checks on your staff, or even your clients directly from the association website. Member ID: All members are issued an identification number. Members use the identification number to inform their current and potential clients of the certification courses and training programs they have passed. Consumers can visit our website and enter your identification number and see that you have in fact the training and are certified in the service that you are selling. Members use the ID number on their websites, advertisements, business cards, estimates, and proposals. Lower Employee Turnover: Our cleaning certification programs are also excellent tools for decreasing employee turnover and boosting productivity. As a certified member you can administer the certification programs and tests to your employees at no extra charge and award them with certificates upon completion. Members have reported that by certifying their employees and giving employees room for advancement on average each employees production rate, attention to detail, and overall work attitude has increased positively by 80% or greater. Specialty Cleaning Product Discounts: Get discounts from our sponsors, example SAVE 5% on any purchase at Clean Freak! Member Prices On Janitorial Insurance: Sign up for IJCSA | Next Insurance | Janitorial & Cleaning Insurance Program and then send us your certificate for a $29.90 credit making your cleaning and janitorial insurance the first month almost free. Affordable: IJCSA has a membership program for any budget! Each membership includes all the certifications, advertising, marketing, tools, and training required to operate your cleaning or janitorial service successfully! IJCSA membership benefits are all-inclusive. Nothing else required to purchase. Membership dues are a full tax deduction. On average each member receives 10-14 new accounts per year from IJCSA Marketing & Advertising Programs. Membership in the association is economically feasible for home based, medium sized, and large cleaning & janitorial firms. Join Today! IJCSA offers a affordable membership for your entire company! IJCSA Quarterly Membership Dues - $63.85 (USD) Subscription period: Quarterly Automatic renewal (recurring payments) Service owner membership program. Quarterly membership dues billed automatically on your credit or debit card. All certification courses included. All business benefits included. IJCSA Semi-Annual Membership Dues - $127.70 (USD) Subscription period: Half a year No automatically recurring payments Service owner membership program. No recurring automatic payments. All certification courses included. All business benefits included. IJCSA Yearly Membership Dues - $229.90 (USD) Subscription period: 1 year No automatically recurring payments Service owner membership program. Save 10% by paying your dues in full for the year. Yearly membership dues billed on your credit or debit card in one payment. All certification courses included. All business benefits included.